London, ON-A team of researchers at The University of Western Ontario has demonstrated that elimination of one of the neurotransmitters in the part of the brain associated with Parkinson's disease may improve brain function without major adverse effects. The research has been published in the November edition of the prestigious journal PLoS Biology. Marco Prado, Vania Prado and a team of researchers at the Schulich School of Medicine & Dentistry's Robarts Research Institute used unique genetically-modified mice developed at Western and high-level behaviour and imaging techniques to study the function of neurons and neurotransmitters in the striatum, which is the region of the brain affected in Parkinson's, Huntington's, and other motor diseases. The research team was particularly interested in the neurotransmitter acetylcholine, and what effect it has on brain function. By using state-of-the-art genetic techniques to eliminate the secretion of acetylcholine in mice, the researchers were able to show that neurons that use acetylcholine are also responsible for a secondary function. "The surprise was that these neurons in the striatum actually do two different jobs," says Marco Prado, a scientist at Robarts with joint appointments in the Department of Physiology & Pharmacology and Anatomy & Cell Biology at Schulich. These neurons release acetylcholine, but they also secrete a neurotransmitter called glutamate. Prado and his colleagues found that they could get rid of acetylcholine secretion without disturbing brain function. "This suggests that perhaps glutamate secreted by these neurons plays a more important role in this part of the brain than was originally suspected," he says. The researchers also showed that acetylcholine, glutamate and dopamine have a special relationship; they found that the elimination of acetylcholine secretion boosted the actions of dopamine. This may have important applications to Parkinson's disease because increased function of dopamine has been previously shown to improve motor symptoms in the disease. Prado says the next steps in their research will be to eliminate acetylcholine secretion in Parkinson's disease mouse models to see if there are improvements in the motor symptoms. "We suspect there will be improvement because in Parkinson's disease, in addition to the loss of dopamine, this group of neurons that secrete acetylcholine becomes abnormally hyperactive," he says. 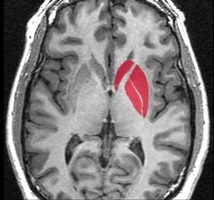 The hope is to eventually produce a drug to block acetylcholine release selectively in the striatum. If their suspicions are correct, this should help in Parkinson's disease by blocking the activity of these neurons without having any other negative effects on brain function. The research was funded by the Canadian Institutes of Health Research, the Canada Foundation for Innovation and the Ontario Research Fund. The research team also included Monica Guzman, Xavier De Jaeger, Sanda Raulic, Ivana Souza, Alex Li, Susanne Schmid, Ravi Menon and Robert Bartha from Western, Marc Caron from Duke University Medical Center and Raul Gainetdinov from the Italian Institute of Technology.